As the natural landscape becomes more humanized, the habitat for many wildlife species has been lost or degraded. 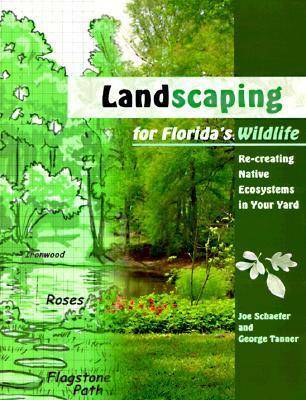 In a clear, step-by-step format, this book tells how to create a wildlife-friendly landscape that takes into account both people and nature. The authors' theme--"put back what you don't need"--allows the gardener to reduce maintenance costs while providing a habitat that offers wildlife the essentials of food, cover, water, and space. *The book addresses such fundamental questions as which ecosystem is appropriate to a particular piece of property and how to determine which species use the property. *It discusses how to consider soils, drainage patterns, utility lines, adjacent land uses, and existing native vegetation. *It describes how to prepare a base map; add plant and non-plant elements such as birdhouses, burrows, and tree frog houses; and calculate the cost of materials. *It tells how to install, maintain, and evaluate the new yard. Throughout, helpful drawings, tables, and worksheets illustrate the procedures. Appendixes include an extensive list of native plants by ecosystem type, contacts with public agencies and private conservation organizations, lists of field guides and related books, and a table that shows which wildlife species use various ecosystems. Joe Schaefer is associate professor and George Tanner is professor of wildlife ecology and conservation at the University of Florida. Both have written popular articles and books that apply scientific knowledge to conservation actions.